Considering how you can fly to Japan for $400 these days, if you're not already plotting out an itinerary for when you inevitably book a trip, you're doing it wrong. And while there's certainly no shortage of incredible things to do and see (what up, Owl Cafes? 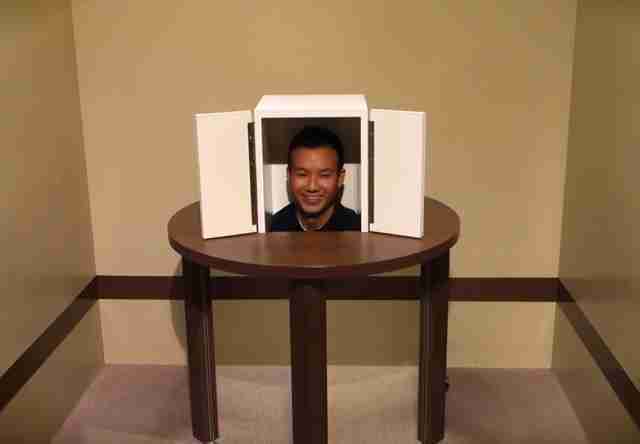 ), you should probably make a point to pop into the Trick Art Museum outside Tokyo. Located just west of Tokyo at the foot of Mt. 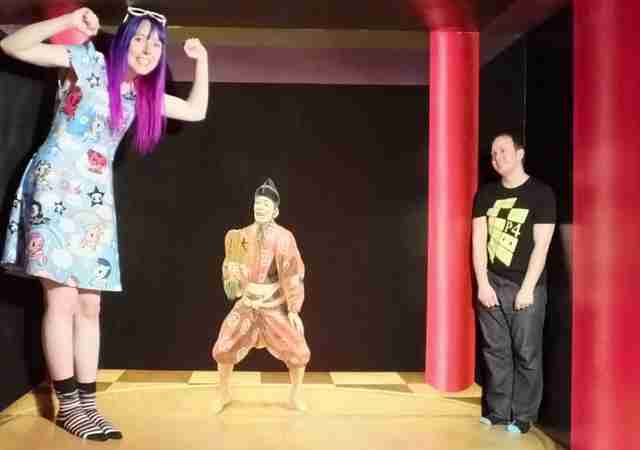 Takao, the Takao Trick Art Museum opened in 1996, and is dedicated to the art of the optical illusion. Essentially, it's a markedly more sophisticated and considerably less carnie-filled version of a carnival fun house, boasting a number of "galleries" decked out with mind-bending murals designed to mess with your eyes. Many of the exhibits feature "trompe l'oeil," a.k.a. two-dimensional paintings intended to deceive the eye into thinking they're three-dimensional. There are also more immersive setups, like an entire room that dramatically alters your perception of size, a "mirror" that doesn't reflect, and others that make your body appear to disappear. Unlike the Met and probably every other art museum you've been to, this one encourages you to touch the exhibits as you explore, while posing like a fool and snapping photos. Admission is just $12, and the museum is easily accessible from from central Tokyo by train and car (roughly an hour and a half and 45 minutes, respectively). It's open all year, but you'd be wise to hit it in the fall if at all possible, since that's peak foliage season, and the foothills of Mt. Makao where it sits are renowned for their colors.